A Professional Suppliers of Nickel Alloys Bars. Suppliers And Stockist oF Nickel Alloys Bars Offered By Aashish Steel. We Can Offer Unique Knowledge And Experience As Regards Suppliers oF Nickel Alloys Bars. ↬ Why Choose Aashish Steel? Synonymous with quality and reliability, Aashish Steel is a renowned Manufacturer, Exporter & Suppliers of Nickel Alloys Bars. Our management has been the key to our success as we delegates responsibility to the specific need of every customers and we have made every customer a member of our family.We have lage global Network in the countries like Qatar, Saudi Arabia, UAE, Singapore, Australia & South Africa. We offer the best quality Nickel Alloys Bars which are used widely and are demanded all over.Our sophisticated machineries and talented workforce assist us in manufacturing products exactly according to the requirements of the customers. Nickel Alloys Bars are available in various sizes and shapes and can be customized as per the requirement of our clients.We strive to scale a new height in the industry by satisfying our customers with innovative range of quality products. When it comes to Nickel Alloys Bars, Aashish Steel is the name that came into mind.We continuously bring improvements and think of new ways to make our products better. Our qualitative products and dedicated prompt services speak volumes about our commitment towards complete customer satisfaction.In Nickel Alloys Bars we are one of the leading Exporter & Suppliers in Worldwide. We have a extensive sales network in Qatar, Saudi Arabia, U.A.E, Singapore, Tanzania, South Africa. Standard: ASTM A312, ASTM A213, ASTM A249, ASTM A269, ASTM A333, ASTM A335. Material: Nickel 200 (UNS 02200), Nickel 201 (UNS 02201), Nickel 205 (UNS 205) etc. Size:4mm OD to 219mm OD Adn As Per Client Requirment. Length: 5 mtrs to 7 mtrs. Application: Construction Field, Shipbuilding Industry, Petroleum And Chemical Industry, Electricity Industry etc. - Each bundle covered with plastic for protection against extreme weather. - End of Nickel Alloys Bars protected by plastic caps. - Bundles strapped with plastic strips. - Each radius of U-Bend tube separated by a separator. - Nickel Alloys Bars Packaging list (laminated) placed with box/crate. We Nickel Alloys Bars Suppliers to Saudi Arabia, Nickel Alloys Bars Suppliers to Qatar, Nickel Alloys Bars Suppliers to U.A.E, Nickel Alloys Bars Suppliers to Singapore, Nickel Alloys Bars Suppliers to Tanzania, Nickel Alloys Bars Suppliers to South Africa etc. Nickel Alloys Bars Why Choose Aashish Steel? With years of experience with companies and projects around the world, Aashish Steels brings world-class expertise to materials acquisition. ➤ Aashish Steels ships directly from the mill to the buyer, eliminating the cost of stocking and providing significant savings to its customers. ➤ ISO 9001 : 2008 certified & Govt. of India recognised export house. ➤ All of Aashish Steels Suppliers are ISO certified and all linepipe and plate providers are API certified. ➤ Nickel Alloys Bars Suppliers Inventory- We have wide range of sizes and grades inventory. ➤ Specialized in Nickel Alloys Bars Suppliers. 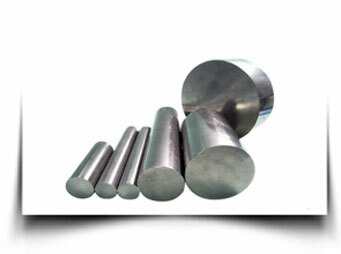 ➤ We Suppliers Nickel Alloys Bars in small & large quantity.